This last year has seen Domus Ventilation launch 3 brand new ranges; D SERIES, CMX-MULTI and HRXE. These products bolster our aim to be The Next Generation in Ventilation, as we strengthen our overall offering with industry game-changers like our CMX-MULTI having the best SFP on the market, alongside our improved carrier service ensuring we deliver what you want, when you need it. 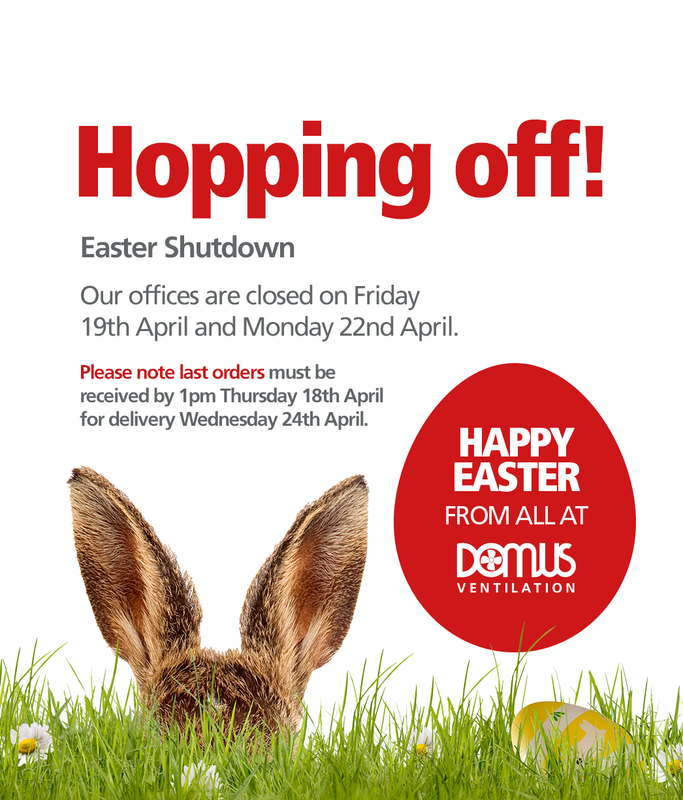 We believe at Domus Ventilation we have the best people within the industry working together to support all our customers, providing you with market-leading products and expert advice. With a dedicated team of Design Estimators, Domus Ventilation have the in-house expertise to support your project from initial enquiry through to product selection and system design - with the entire service completely free of charge! Domus Ventilation has designed the HRXE range with wall-mounted, cupboard installation in mind making it ideal for off-site modular construction. Not only are each of the four models energy efficient, but also exceptionally quiet with background (normal) ventilation at 24dB(A) (typically whisper quiet). Noise reduction can be further reduced through the use of an Anti-Vibration tray, HRXE-AV. Two of the models come with integral humidistat, whilst the entire range benefits from 100% Bypass functionality and a two year warranty. Making its debut this month is our unique new ‘Dominator’ robot, made almost entirely of Domus Ventilation products. Our products are designed to deliver high performance and stand the test of time. Dominator reflects this. Compared to our competitor’s campaigns, he’s a breath of fresh air (pun intended! ).